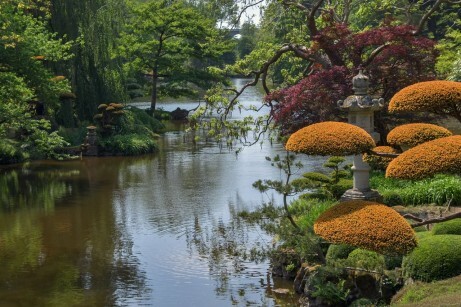 Essentials of Oriental Gardens | Global Garden Friends, Inc.
Orient-influenced gardens put much less emphasis on plants and more on how all the different elements of the garden work together. They are characterized by a very precise design composed of carefully placed elements of rock, water, and gravel on one side, and limited greenery made of tightly clipped trees and shrubs on the other. Plants here have another important role – to mask the boundaries of the garden and give the impression of more space by blending seamlessly with the landscape beyond. Let’s look into the essential elements of oriental gardens as well as a few ready-made setups you can recreate at your home. The oriental style garden is perfect for homeowners who have a small, rooftop, courtyard or basement garden, as well as those who simply want to create their own sanctuary just yards from their doorstep. If you happen to have a rocky, hillside garden surrounded with trees and a small stream running through it, your job is halfway done. There are many styles of oriental gardens you may take as your starting point. The key is to choose the one that suits your existing garden the best, but don’t be afraid to mix styles. The gracefulness and the gentle curve of oriental bridges have made them iconic in Japanese and Chinese art. Whether crossing a pond, stream, or skilfully created dry riverbed, they can be made of stone, wood, or bamboo. Meant as focal points, some of these bridges are supported on underwater granite slabs, creating the illusion that they are floating. According to Japanese legends, a zigzag bridge prevents evils spirits from reaching the other shore, as they travel only in a straight line. Although more dramatic on a bigger scale, pond gardens can achieve a marvellous effect even in a small space. The key is for the pond to become the heart of the surrounding landscape, with rocks, pebbles and sand used for softening the shoreline. Water plants such as irises will add a subtle splash of colour, while an ornate Chinese bridge or large flat stepping stones reach over to a small turtle island in the centre. This type of oriental garden also needs more space in order to work well. A stroll garden is ideal if your garden landscape is uneven, or you have a small body of water running through. The essence of stroll gardens is a network of winding paths formed with pebbles or large slabs of granite that encourage visitors to take a journey of several carefully composed miniature landscapes positioned along the path. Laying these path pavers is much easier if you use high strength paving pedestals that ensure both the level surface and excellent drainage. Japanese gardens often rely on a subtle difference in colour and texture, which evergreen conifers can provide all-year-round. A taller plant’s soothing shade of green can echo the pyramidal form of a pagoda pillar, while others embrace the feature with their branches spreading low. Conifer shrubs can also be used for providing an element of mystery – who can tell what lies ahead after the path winds around that shrub? 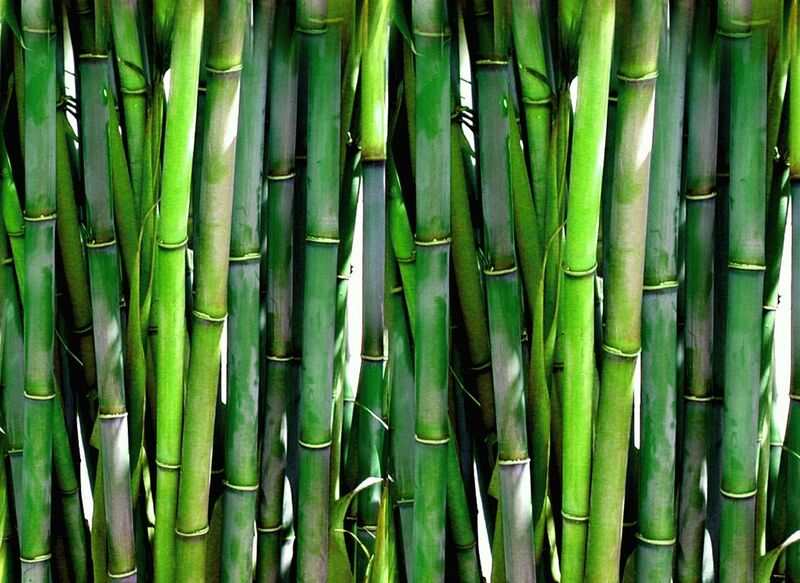 Apart from being an essential building material throughout the southeast of Asia, bamboo is an essential material used in oriental gardens. It’s used for fencing, as well as water wheels and fountains. 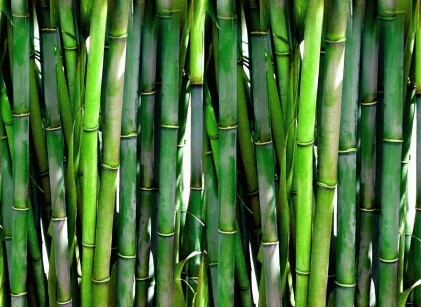 If nothing else, a planted stand of bamboo will complement the overall look of the garden. The varieties available on the market aren’t as invasive as Asian species, but still use a root barrier to make it contained to the desired spot. In this type of garden, sand and gravel are used as ground cover, often raked in a variety of ways to represent water. Large stones are carefully positioned to act as islands and animals, while planting is kept at a bare minimum, with only a handful of tightly clipped trees and shrubs. This minimalist type of garden lends itself greatly to small courtyards, and is usually associated with temples, where it inspires calmness, meditation, and clarity of mind. Going through refinements of more than 3000 years, from immense pleasure gardens of Chinese emperors to the quiet reflexions of Japanese Zen, every element in these landscapes is carefully considered. 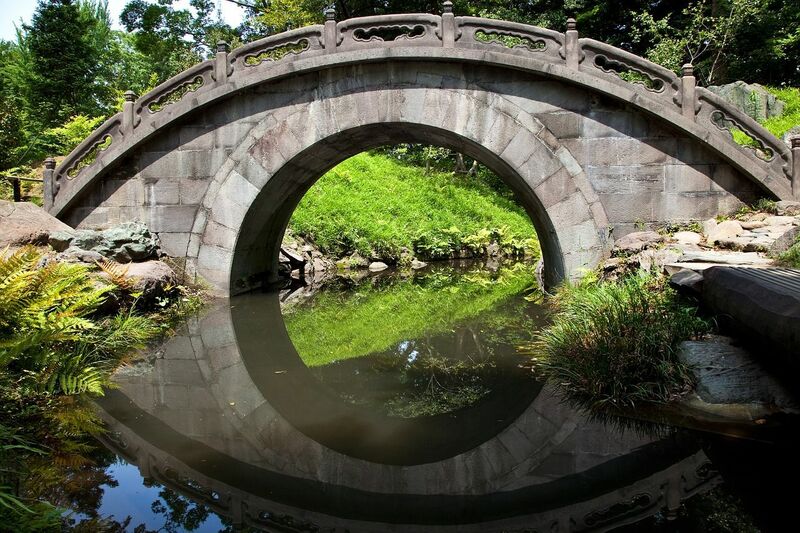 While we may not desire to recreate oriental style gardens through their philosophical or religious meaning, we can still appreciate their intricate beauty and simplicity.